The SWAG Essentials inventor Lydia Evans is appearing on the Shark Tank Episode 613 with a line of men's grooming products almost too good to be true. 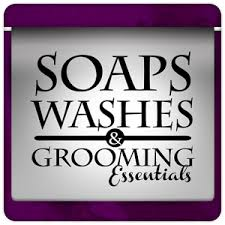 Evans started Soaps, Washes and Grooming Essentials (short for SWAG) when by her brother who's a professional barber, asked if she could develop a new product for razor burns, ingrown hairs, and breakouts after shaving. Lydia Evans was already a Successful Licensed Medical Esthetician and Product Development Specialist, which is the reason her brother already knew she would be the "one" to help solve this very real problem. After months of trial and error, Evans finally created the perfect Deep Cleaning Face Bar that incorporates a 3-in-1 soap, wash and scrubs into one product. We already know from the Shark Tank Season 6 Gag Reel, Daymond John must like Lydia and the Swag Essentials by offering his phone number without a deal at that point. We also know Evans is 100% business-focused inside the Shark Tank and more interested in long walks to the bank. By the looks of that clip, Daymond might have lost his negotiating edge at that point and will have to take a longer walk to the bank if he invests in Swag Essentials. After reviewing hundreds of Shark Tank products that's made it on the Show, I can already see one major problem that really stands out and will cost Swag Essentials hard telling how much money in the future. The "Swag Essentials" Brand is what 10 million people are going to see on TV, and THAT'S what they will remember when searching for this product after this episode of the Shark Tank airs. Lydia has her social media pages on FaceBook and Twitter using " Swag Essentials" within the name to help find the product, but not in the Official Website Address. The main place for people to buy this product is at Pure-Swag.com. Swag Essentials is now one of a very small group of products seen on the Shark Tank that doesn't use the exact dotcom domain that's also its business name. It would have been much better to Brand the Pure-Swag name on National TV then risk losing "quality" traffic to whoever owns SwagEssentials,com. Fortunately, this blog and a few other Shark Tank Blogs will help solve some of the confusion with the correct web address. But no doubt this will cost Swag Essentials a lot of missed orders and make it that much more expensive to Brand this name. Check out all the Swag Essential Products on Shark Tank Episode 6 next Friday night, December, 5, 2014. I couldn't stop thinking about the domain discrepancy concerning this product and figured I'd dig a little deeper. The first guess was a domainer bought this name as an investment and was simply asking more than Lydia was willing to pay for the "exact match" dot-com name. If that was the case, then the value of this name is going to sky rocket in price immediately after this episode of the Shark Tank aired. It didn't take long to find out who owned SwagEssentials.com, NOBODY! WHAT? I'm still a little stunned and not sure what to think about this little oversight that's a huge part of building ANY BRAND on the Internet. If your business is XYZ then its best to own XYZ.com or be prepared to pay inflated domainer prices the more successful your brands name becomes. I had to learn this lesson the hard way dealing with SharkTankSuccess.com when having the chance to register it before this Blog started getting popular. Another blogger who also covers the Shark Tank Show took notice of its early success, registered the dot com name and immediately tried to sell it to me for 200 times his investment. Now that's a Shark! LOL. Yes, I do own the dotcom now for a future project, but it was a costly mistake I won't soon forget. Lydia, if you read this article and want the exact match domain name SwagEssentials.com, send me an email, and I'll transfer it to you "For Free"
I figured I'd better register it before this article was published because someone would have snagged it up FAST and taken advantage of the work you've already put into Branding this "exact" name. If anything else, you could have the type-in traffic going to SwagEssentials.com redirected to the Pure-Swag.com site and see for yourself how many additional customers this generates for your business. Let me know, and I'll take care of it as soon as possible, preferably before your Episode of the Shark Tank airs. Congratulations Lydia for getting SwagEssentials.com on the Best "Real" Reality Show in History! Great article as I too couldn't find her site. What a major over sight. Thanks for looking us up! At time of site development the domain was under use and unavailable. We pushed forward, swam with the sharks and are here today at www.swagessentials.com. Thanks again and Happy Friday! Did you get that domain from the person who writes this blog? The article was never updated if you had to buy swagessentials.com or did they "really" just give it to you? All we can say is SHARK TANK SUCCESS ROCKS! What a lifesaver! www.swagessentials.com is now ours! I just saw your product on Shark Tank. It looks great. I attempted to go to the websites but none of the websites mentioned seem to work. How can I check out your product? I CAME HERE TO BUY YOUR SOAP TO GIFT MY MAN. CAN WE BUY ONLINE? Great! We love keeping our customers swag A-1! I hope your business excels ! I would like to order one to try so I am wondering if you have an offer code at check out? I can't believe no shark picked it up, and I know Im not the only one thinking that. All Natural? Thats superb. I would get it now if I could. SWAG ESSENTIALS: You SHOULD patent and protect your product, because now that its been aired... any soap company can copy it. Really glad i saw this episode. Its a great product.